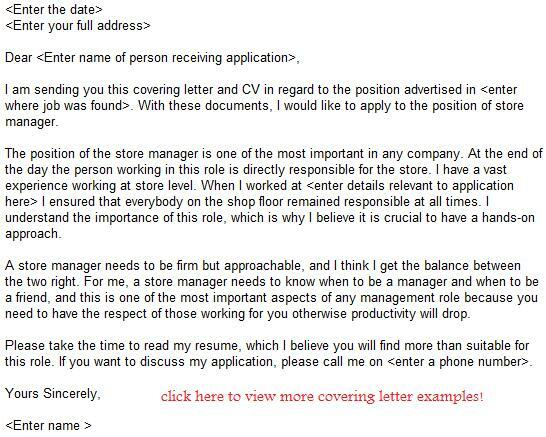 If you are going to apply for a Store Manager role then you will need to write an application letter. Use the following example letter to write your own one. You should edit the personal details and add your contact information including a full address, telephone numbers and emails so potential employers can reach you easily whenever they want to. You must also have an excellent CV in order to be successful at your job application. You can either hire a professional or write your own CV. Store manager jobs are available on the job sites online. Visit the most popular job search sites and start searching for vacancies.